Categorize your store with our custom category signs. For best results, limit your signs to 12 letters or numbers. (Minimum order 3). Specify Red or Black. 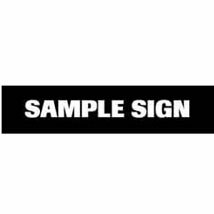 Custom signs must be prepaid and require written confirmation.